Every now and then I like to lay on the floor, with my eyes closed, listening to music. 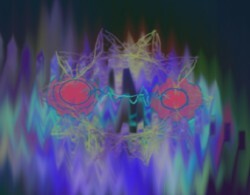 Some music evokes hallucinations in my brain. Not as impressive as when i use drugs or do deep meditations (which i both don’t do very often), but a mild version of that. What I like about it, is that the auditorial imput is somehow translated by my brain in into visual images. It begins with rather simple and colourless moving geometric patterns, very much like what I see on my Windows Media Player. But when the mood and the music are good enough, the projections on the back of my eyelids built up. 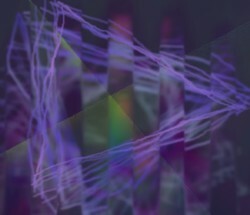 The abstract geometric patterns become more complex and alive, and before I know it, I am watching the kind of home made movies that I am used to see in my dreams. Usually this is the point where I fall asleep and forget about the music. But certain music, especially the soulful percussion music, like from Mandingo for example, make it easier for me to stay awake and keep watching while my brains produce more intricate and stranger images. I don’t know how it works. 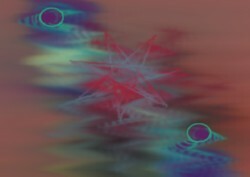 I think that the signals in auditory nerves leak a bit to the visual nerves under certain conditions. Or maybe some nerves of the different senses are always connected, but the exchange is usually being done outside my consciousness. But the effect is clear: sounds are translated into images. I like to think that my whole nervous system, including my brain, is driven by music. On a very deep level, by music that I cannot hear with my ears. I can only see the output of this subliminal music: thoughts, feelings, dreams, actions, etcetera. 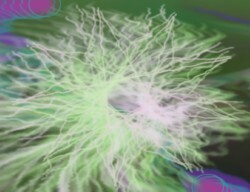 If this is true, all art is an unconscious translation of the “music” that Life plays at the edges of our nerve cells. And especially the songs and tunes that we create are echos or imitations of the music that is stimulating our nerves at a quantum level. I don’t know, but I like the idea. It would explain how we can distinguish “good” art from “bad” art: what resonates with the subliminal music that moves us on a subconscious level, is the music that we like to hear through our ears. The track that inspired me to write all this is by the Dutch composer/orchestra leader Jos Cleber. He was popular in Holland in the 50’s and 60’s, but he didn’t made much records. I have an LP that he made for the American market, or at least that is what I think. 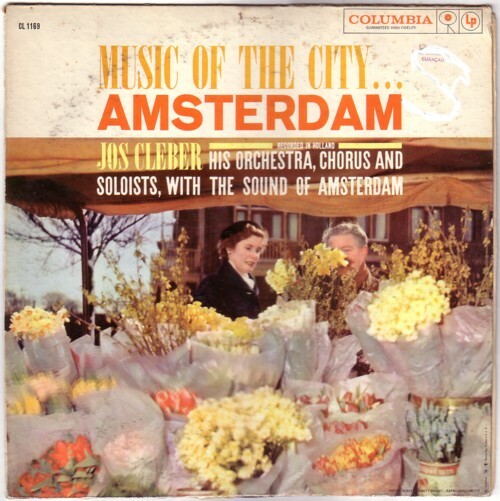 The LP is called Music of the city… AMSTERDAM and the three dots seem to indicate that this LP is part of a series. It is a very inspired record, with very un-Dutch tunes. Here is an excerpt of Night traffic on Rembrandt square , in which Jos Cleber captures the atmosphere of this centre part of Amsterdam, as it was in the early sixties. Actually I am not very fond of gypsy tunes, but when I lay on the floor yesterday, listening to this, this was a great trip. Leuk dit te lezen en ook het fragment van de plaat (die ik niet kende)te horen over en van mijn opa. Hij is inmiddels al weer bijna tien jaar dood maar dit maakt hem toch weer een beetje levend.